The U.S artist David Bowen and the University of Minnesota went to the end of reasoning and just created a robot - the cloud piano. 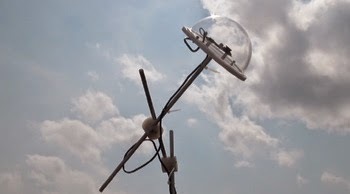 The aim is to transcribe music simultaneity of moving clouds through a computer program. 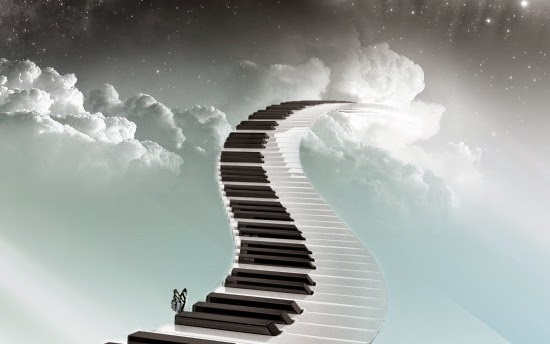 The piano is connected to a camera, pointing towards the sky, which not only records the speed of movement of the clouds but also their shape and trajectory. Images - cut into 88 parts by the software part for each button that has a keyboard - then transmitted to a computer program. which directs the robot arm of the metal which operate the keys. The tempo and rhythm are determined by the speed of movement of the clouds. Their trajectory determines the mood of the future song. For example, if the clouds move in one direction, with little wind, the song is catchy and cheerful. If instead it is a beginning of a storm, the score becomes dark.